You know the feeling when you see a face, know you have seen it somewhere and just can’t remember where you saw the face before? 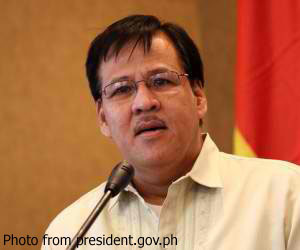 That had always been the feeling that I had everytime the late DILG Secretary Jesse Robredo was on the evening news. Too bad it had to take a fatal plane crash for me to finally discover why. Regrettably, they finally found his body this morning inside the plane’s fuselage some 180 feet below the surface. Before they did, I was seeing calls for a vigil in social networking sites. This was how I learned that he graduated just a year ahead of me from DLSU in 1980. We would have graduated the same year if I had not deliberately overstayed for the football. While his course was engineering, it was a small enough school in terms of population at the time; and I’m reasonably certain now that I remember his face from college. There are government officials the very sight of which on television is enough to make my systolic shoot up. They don’t even have to speak. Not so with Robredo. 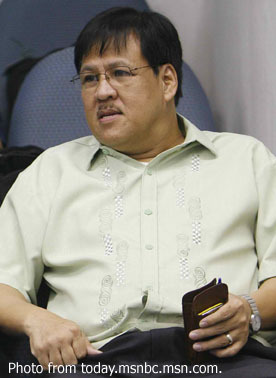 Where others irritate me because they sound either arrogant or clueless, Robredo on the contrary always looked like a soft-spoken, self-effacing and down-to-earth man who, however, knew what he was talking about. The social networking sites are always the most convenient venues for the public lynching of government officials – among others – for their latest slips. I don’t believe that, in the Facebook and Twitter era, I saw one disrespectful post against Robredo. And on the social networks, people can so totally let down their guard and leave behind the most vitriolic comments. Strange that our culture as Filipinos can be sometimes, the absence of commentary can actually be the sign of a good thing. It is, perhaps, our distinct way of saying that we have no issues with the person. Now that the unwanted but inevitable has happened – i.e. the recovery of the body – the tributes are starting to stream down NewsFeeds. The hashtag #SalamatJesse is trending locally on Twitter as I write this; and even on the Facebook NewsFeed, people are extremely saddened by the Secretary’s passing. The overwhelming sentiment is that we all just lost not only a genuine and honest public servant but also a good man. Indeed, I am both shocked and uplifted to see news video shots of how humble his home is, where old cars are parked instead of glittering new SUV’s. How many of our so-called public servants, pray tell, can claim to be as unaffected by the power and prestige associated with a cabinet position? Robredo’s simplicity is admirable; and his death deeply saddening. At the age of 54, Robredo was still relatively young for a public servant; and he probably had not even yet reached the pinnacle of his career. They do say that the good die young; and while this is not always true, Robredo’s passing seems to be yet another proof that validates the cliché. Who knows what God’s plans are, however? Already, people are saying that, in death, Robredo shows the nation that it is possible for public officials to evade the trap of corruption that we all have seen others fall into before.